We live in an interconnected society with more and more smartphones, smart houses, applications, and devices. And, although there is no denying how important and necessary the Internet is today, it seems we feel less connected with one another. In fact, when was the last time you ever played a game without connecting to your WiFi network? If you want to take a step back from technology but still enjoy the best games to play at home without the use of the Internet, here are our top suggestions. 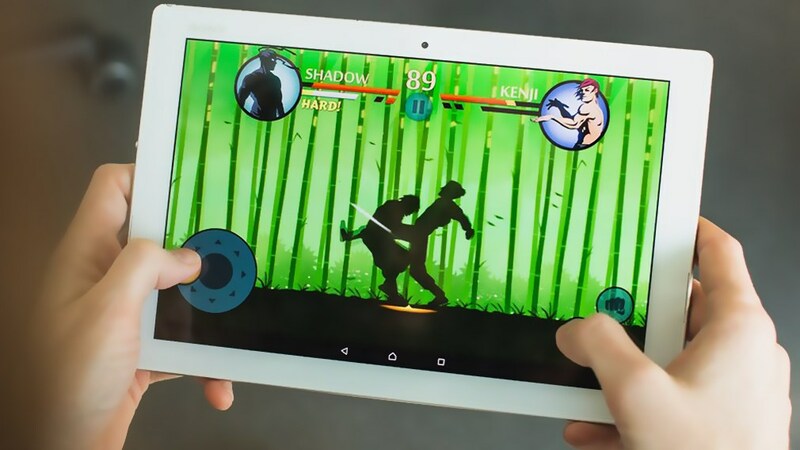 This popular game can be played on a wide range of tech devices, including on your PC, laptop, tablet or smartphone. The latest version available so far, 1.2.11 is compatible with Windows 10 PCs, iOS tablets and phones, Android smart devices, as well as with Xbox One. 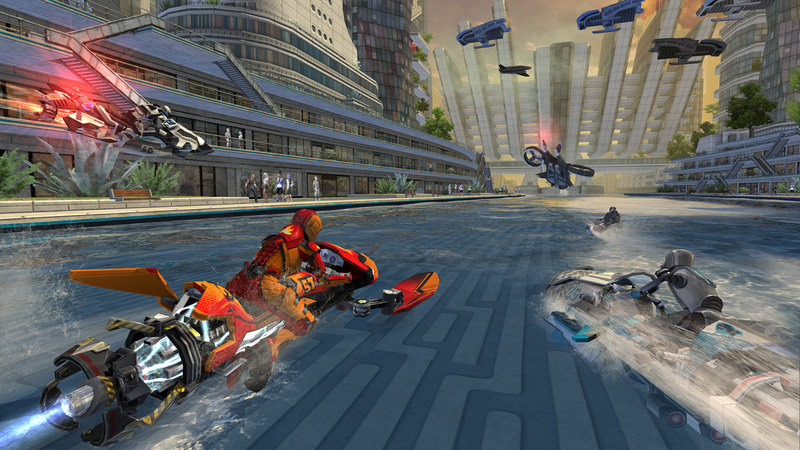 There are plenty of online multiplayer servers to which you can connect if you want to play against real opponents. The game’s idea is quite simple – you have to explore randomly generated alternative worlds and build interesting things from the simplest materials. From small and humble houses you can end up building the largest castles. You can play in the Creative mode where you have access to unlimited resources or try the survival mode which allows you to craft weapons on your own and stay away from mobs. The BAFTA award-winning app, The Room, is finally here with its second sequel, The Room Three. This physical puzzle game creates a complicated alternative reality life where you are all alone on a remote island. You must complete all puzzles provided and navigate a series of trials in your contest to finding “The Craftsman”. You can explore plenty of worlds, re-read hints to see everything you might have missed in the first place, and even return to a persistent environment so you can experience an alternative ending to your quest. This game also benefits from a haunting soundtrack to lure you in a true alternative universe. If you were looking for interactive, cool and weird games at the same time, you should start with this one from 3 Minute Games. After a crash landing on an alien moon, you have to help Taylor, the main character, to survive against all odds. Taylor finds himself alone, with the rest of the crew dead or gone, and his communicator can only reach you. Beware of the decisions you make as you’ll have to suffer the consequences afterward. What we liked the most about this game is that it has multiple outcomes, depending on your decisions. In this extremely popular game, you have to escape from prisons by planning your escape, and finding the most feasible routes. You’ll find plenty of inmates and guards along the way to provide a healthy dose of entertainment and also keep you on your toes. Do you think you have what it takes to become the next Escapist? The game’s recent version includes over 185 unique items you must seek for, as well as the ability to craft your own tools to help you with your tasks. You’ll also have access to a brand new prison, London Tower. According to the vast majority of reviewers, Super Hexagon is a highly addictive game. It features several levels you must pass and each level comes with a “hyper” level which is even more challenging than the original. We really enjoyed the entertaining and awesome music composed by Chipzel which will keep you focused all the time. In the game, you have to control a triangle on a hexagonal grid while staying away from the walls that come from the corners of the screen. Control the triangle to the opening in order to finish the level. The game is progressively challenging and more difficult as the background regularly changes its color and walls change direction too. This is probably one of the most popular games in the world ever since the beginning of tablets and smartphones. This particular edition comes with over 30 new levels and challenges you must complete in order to kill the green monsters. Choose the birds that will create the most damage and guide them to the target to get through stone, brick, wood, and glass walls in order to kill the green monsters. You can now boost your birds’ flying and damage abilities. In addition, each new level won with three stars unlocks secret contents for endless hours of fun on your tablet or smartphone. Limbo is now one of the most awarded independent video games ever created and receives the appreciation of millions of players worldwide. The game was first launched in 2010 exclusively on Xbox and Live Arcade but now is available on almost all tech platforms, including iOS tablets and phones, Microsoft Windows, and Linux. It is a puzzle-platform video game that often gives the impression of horror movies. The main character of this video game is a nameless boy who wakes up on the verge of hell, desperately looking for his sister. Throughout the journey, he only encounters few people who are either dead or trying to attack him. Mobile data is expensive, and even though the four major mobile carriers in the U.S. are trying to make their offers as attractive as possible, the cost of using data is still off-putting for some users, especially teenagers and people in their 20s. It goes without saying that most of us have a WiFi network in our homes. However, this might not be the case for individuals who live in dormitories. Sometimes, you can’t have access to the internet however much you might want to go online and check your social media. Places like airplanes, subways, or some elevators will have you feeling your ties to the rest of the world are broken. Most good computer games can be used without an internet connection. This is not the case with mobile games, however. While new games for PC don’t require you to do anything in terms of connectivity, most of those destined for smartphones and tablets will ask you to be connected to a wireless network at least when you’re downloading them for the first time. The point that we are trying to make is that, to install a new game on your mobile device, you have to have access to the internet at some point. Whether you are in the market for cheap games for computers or you’re looking to get a new one for your smartphone, one which you can play even when you’re offline, you’ve come to the perfect place. We’ve put together a short guide that can tell you everything you have to know about these apps and how you can select the right ones for your needs. If you’re a true gamer, you probably know by now that there are many kinds of games available for sale or free of charge. Therefore, one of the first things you should do is decide on the type of game you prefer to play. Some of our team members like strategy games while others go for classics such as arcade or shooters. This aspect depends on your personal preferences and what you have tried out in the past. You should try to make an analysis of the games you’ve given a shot to before, and if you’re having a bit of trouble telling which ones you’d prefer, we suggest going online and reading some of the best games reviews. Other games, like Word Cookies, and various others, can help you develop your vocabulary. Of course, there are alternatives like Trivia Quiz that will allow you to improve your general knowledge of the world and about specific domains like music, literature, and anything that relates to culture. The reason developers have started to create online games is that they cannot be pirated, much unlike those that come on CDs or DVDs. So, even if you download a game like the world-known Candy Crush, you wouldn’t be able to download and install it on your computer if you try to copy it from your mobile device. Regardless the type of game you like, you need to ensure that it works with the type of device you own. What this means is that you could look for Windows games, Mac OS X games, and those destined for Android or iOS smartphones and tablets. It’s often that a game will not work on both the Android and the iOS platform, and that’s because it is difficult to create a perfect one that satisfies the requirements of both of these operating systems. Besides, while the Google Play Store has few requirements in terms of the number of bugs and errors in a game, Apple developers are much keener and more attentive when it comes to checking games for such problems. That’s why some apps will be rejected as many as five times before their issues are fixed, and they can finally be showcased in the App Store. One of the coolest things about using an iPad or iPhone is that the apps and games you can install are safe to use and your mobile device is protected at all times. Something else you should give some thought to is whether the game will take up much space on your computer or mobile device. These days, most new PCs come with a more than generous storage space. However, this is not the case with some smartphones as a 64GB iPhone can cost a pretty penny. So, unless you plan to uninstall the game once you’ve completed all of its levels, you need to take how ‘big’ it is into account. Keep in mind that your mobile device also has to hold your photos and personal documents, which might be more important than a game, at least depending on the type of user you might be. If, however, you’re looking for something fun to play at this time, you can always get rid of the game once you’ve tired of it. It surely goes without saying that if you’re under the age of 18 and have little money to spare, you’re probably interested in trying out as many free games as possible. Fortunately, developers don’t make free games as bad as they used to. Back in the day, most complementary games had horrible graphics. Some of the ones you can give a shot to these days, even though they don’t cost anything, will surprise you with the quality of their graphics. These include Angry Birds, Candy Crush, Two Dots, and a variety of strategy games. Of course, you can play all of these when you’re online, but there’s nothing stopping you from installing them and using them while you are offline. The prices of such games can vary largely from one to the next. Some developers make iOS games a bit pricier compared to their Android counterparts, and that’s because of the process we have detailed above. It often takes a lot of time to get a game approved by Apple. Computer games are more or less expensive depending on what you are into.